I visited a local hospital to do sketches of live surgeries. 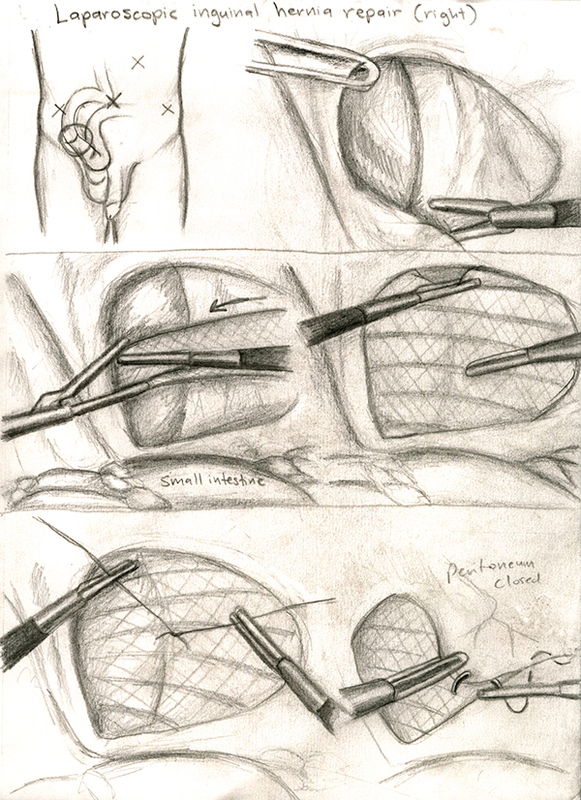 One of the surgeries I chose to illustrate in color is called Laparoscopic Inguinal Hernia Repair. A hernia is anything that bulges out of a weak spot in the abdominal wall. In this case, part of the small intestine came through the inguinal canal and a repair must be done. A wire mesh is sutured in place to strengthen the abdominal wall.